Devon Ladies Tea, Twice as Nice! 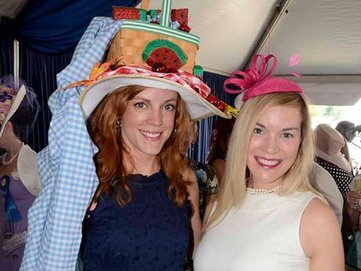 Last Wednesday was the 2nd annual Ladies Tea at Devon, in which over one hundred finely topped women took shelter from the oppressive sun under the shade of a well decorated tent bursting with endless champagne, tea sammies and mini pastries. 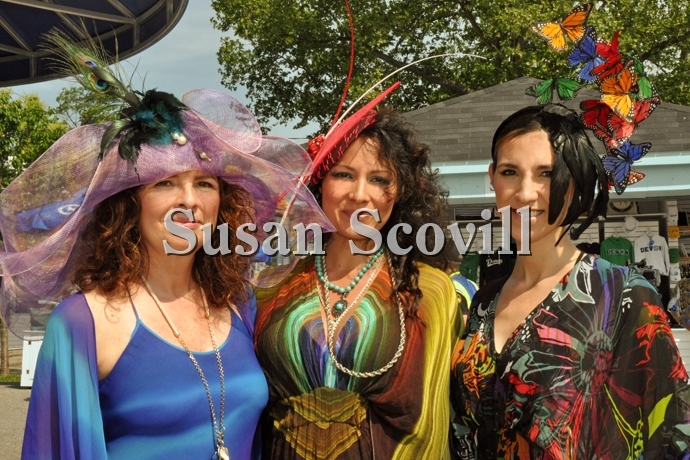 This was following the annual hat competition of which this year I had the honor of being a judge. To think, just three years ago I was a fresh faced hopeful contestant! 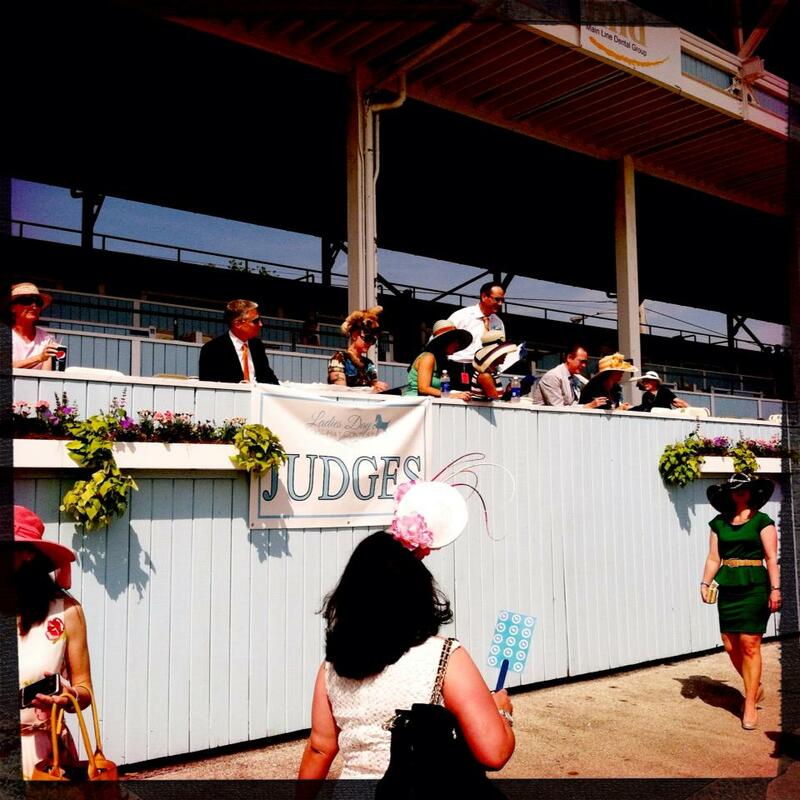 Here I am, roasting in the stands with Bill Henley, the only man brave enough to sit next to the lady with the fox on her head. There were, I believe, 130 contestants- by far the most I've ever seen- and I found picking my favorites to be a bit mind boggling. Thankfully there were several categories so we didn't have to narrow all the ladies down to 2st second and third. I just love her ensemble. 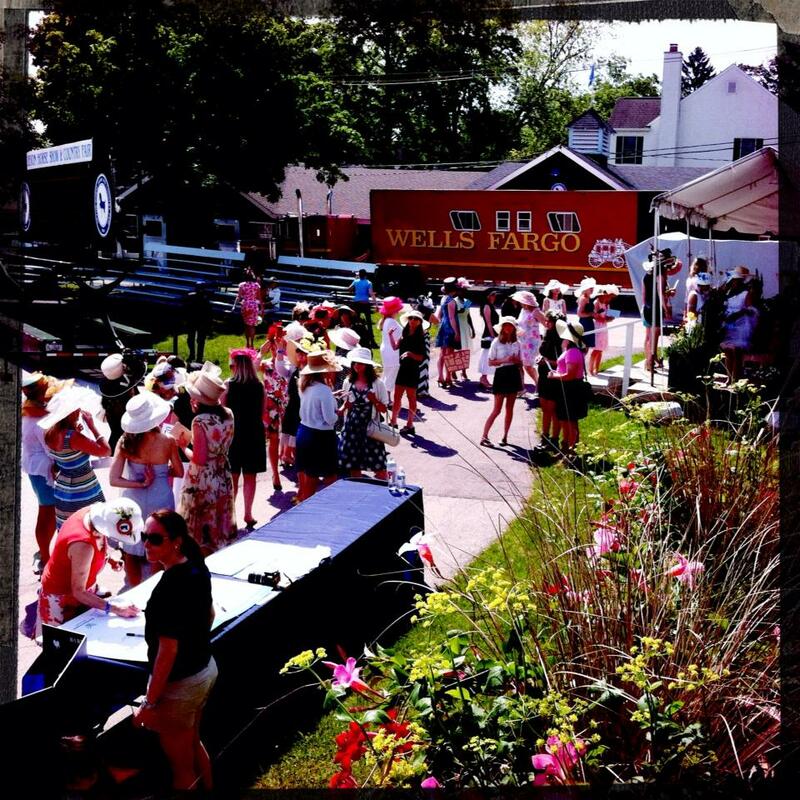 It seems this year more that ever women put forth a notable effort in their entire looks, not just the hats. Here we are together. I went with a fox theme complete with tail necklace. Seeing as the theme was British "proper toppers" I thought it would be cheeky to reference the ongoing feral fox issue currently plaguing London. It's no secret that I'm a bit of an outsider on the Devon scene; the wise and gracious ladies of privileged zip codes have embraced me and my ilk, knowing that you cannot keep the artists away from where they wish to roam. And that we enhance whatever environment we choose to inhabit. 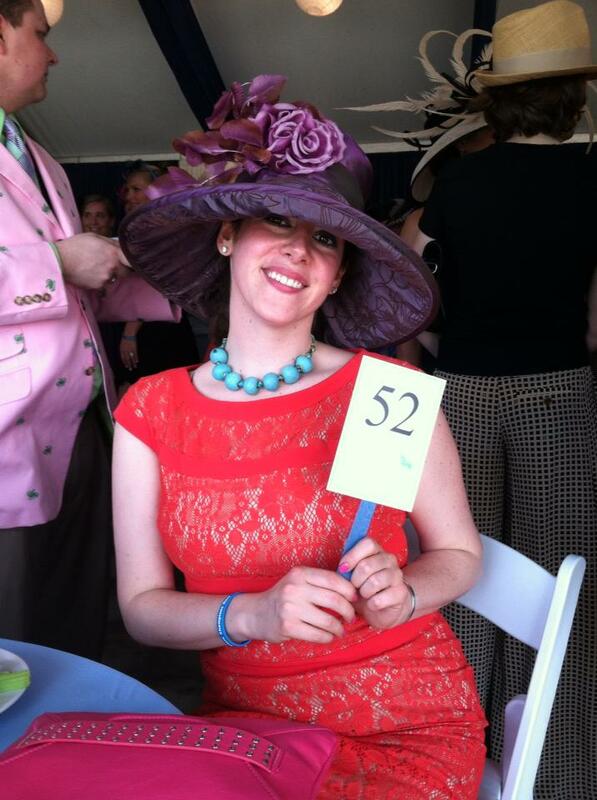 It was also nice to be called "Foxy" throughout the event by complete strangers. I wouldn't mind that nickname sticking. 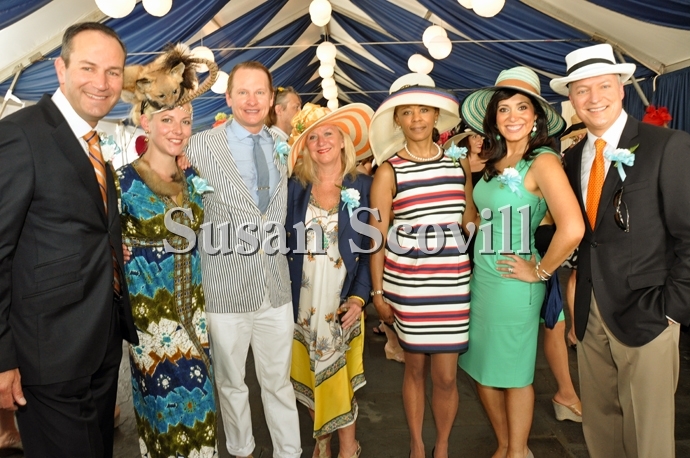 Patrick Champalou (Cartier), MOI, Carson Kressley, Sheila Connelly, Brenda Waites Bolling Alicia Vitarelli (6ABC) and Bill Henley (NBC10). 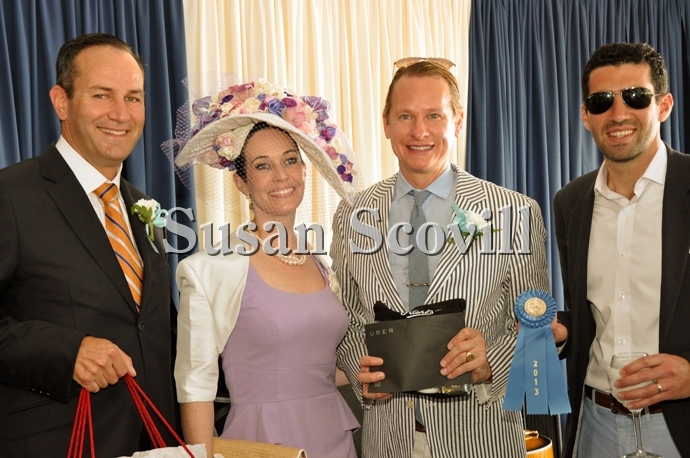 Here's best in show Tiffany Arey flanked by some dapper dudes. I met her the first time she ever competed and she was taking home ribbons back then too. I don't think she's ever left a competition empty-handed; the gal is dripping with class and talent. 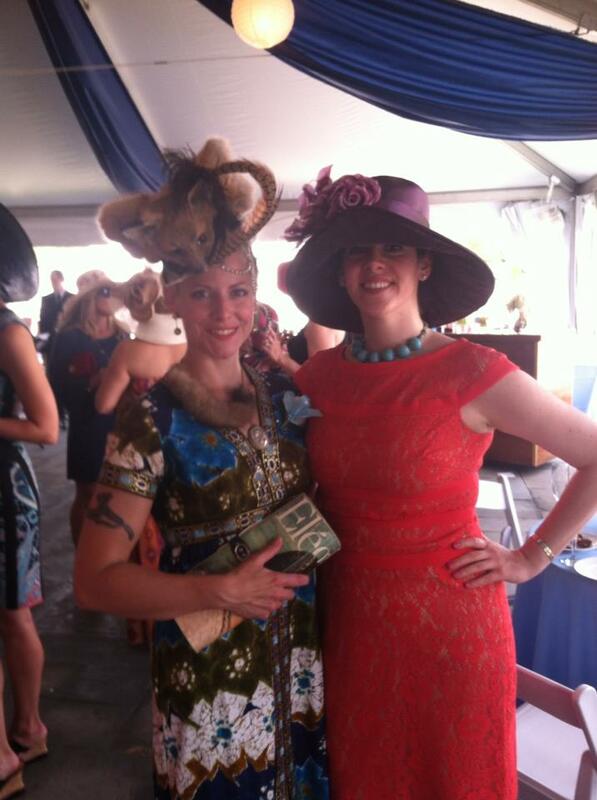 Below you'll see Jen McGowan, the mastermind and graceful ringleader who acts as chairwoman to Ladies Tea. This was only the second of the annual event and it was tremendous. It will surely get better every year and I'm eager to watch it grow into a time honored tradition. 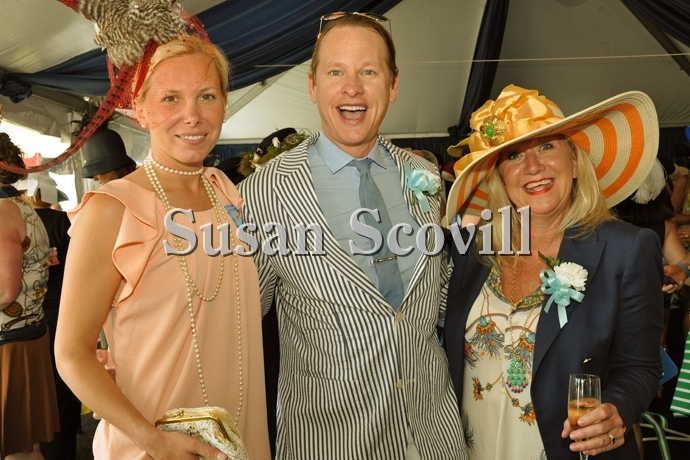 And oh look she's wearing one of my Gatsby hats! That would be The Daisy perched upon her lovely head. Below is Best in Show Robin Sweet. 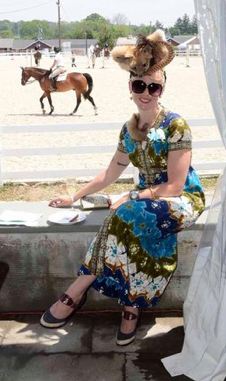 I can't seem to find a good photo online of her entire outfit; it was a picnic theme from head to toe- complete with watermelon slice decals on the soles of her shoes! Carson was smitten with her from the start. Below and to the right is Jaden Rhinehart who won Most Fascinating. I need to track her down and find out where she sourced that sheer butterfly onesie. Oh Hello there! 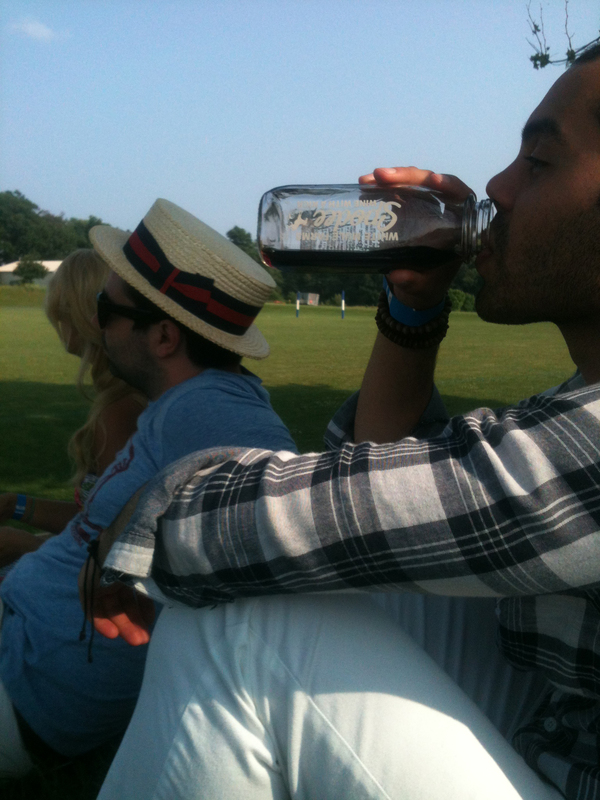 Here's a shot Hughe E Dillon snapped of me taking a sun break and watching the ponies. I almost forgot what Devon was all about! 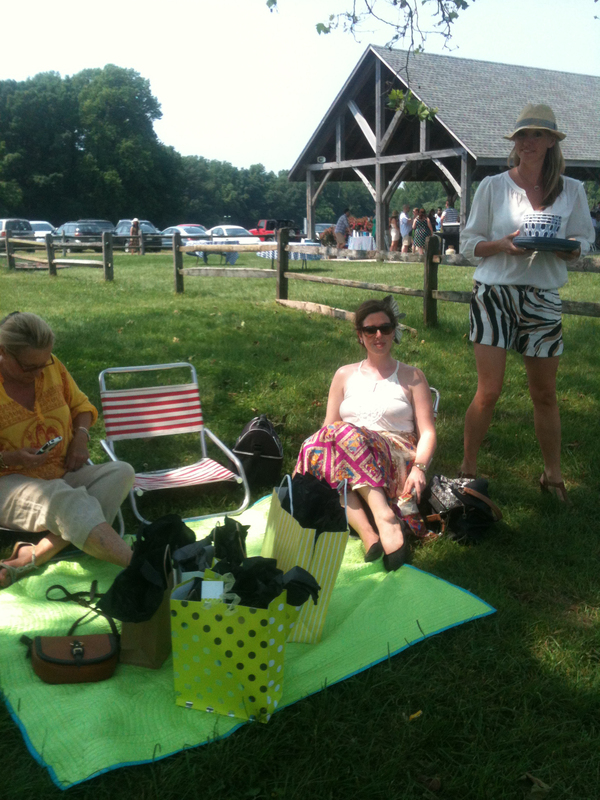 This past Monday brought us a dreamy mix of sun and clouds for the Brandywine Polo season opener. 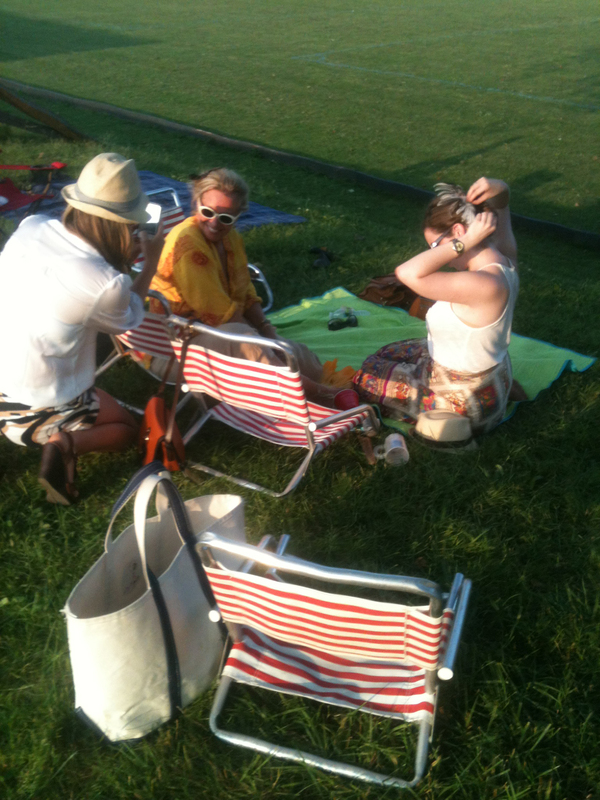 I rounded up the lovely Bell ladies and we set up a picnic under a tree to celebrate birthdays, America and ponies. It was a fantastic match and got the whole gang excited for the 2012 season. Have you tried Spodee yet? What are you waiting for? I could hardly see anything with these tiny binoculars. 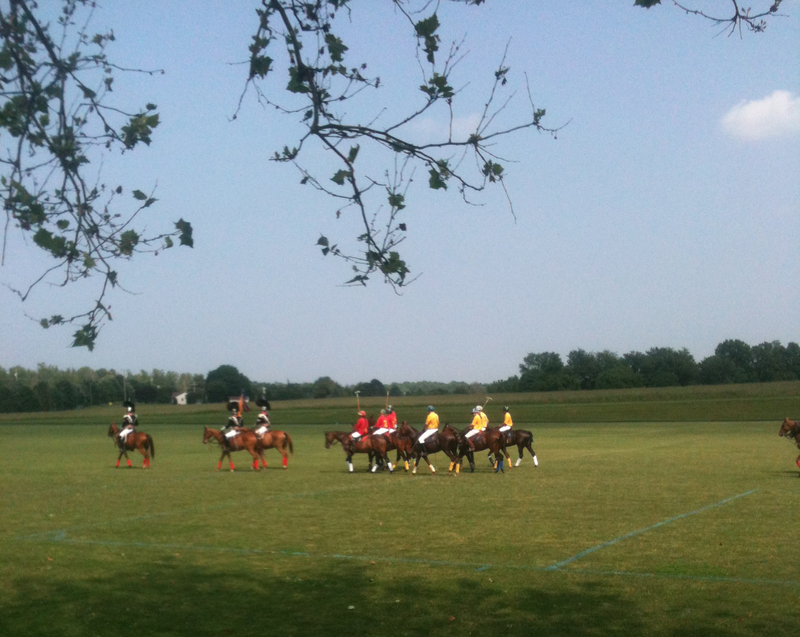 There's my friend Sharilyn bringing water to her polo playing beau, Juan. And that's really all she wrote.